Characterised by its empathy for the special requirements of the elderly, FAIRLEADS RETIREMENT VILLAGE, located in a country environment, offers a way of life that has won words of praise from far and wide. Nursing in our care centre can be compared with the best in the country and we pride ourselves with the high standards of geriatric nursing. Our care centre caters for residents who require full care whilst we are also able to offer single rooms in our mid care section. We can accommodate residents on a temporary basis at R445,00 per day. 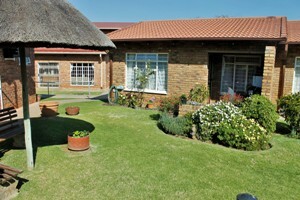 Various sized cottages provide residents with modern, spacious accommodation and a pet friendly environment. Situated 1.5 kilometres from a shopping centre and 5 kilometres from a private hospital, all amenities are on our doorstep. Care centre under the management of a qualified nursing manager. 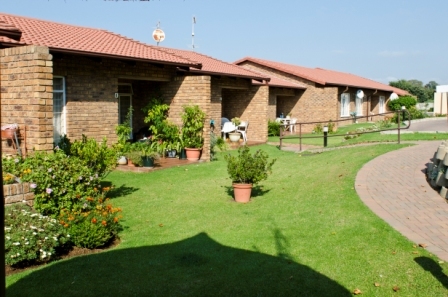 Bedsitter, 1 and 2 bedroom units (with or without garage) are available. Separate garages can also be purchased on life rights basis. Fairleads has 3 upstairs flats, varying in size. Staffed by a qualified nursing manager, sisters, nurses and care givers. We also provide temporary care and day care for those who need to recuperate. 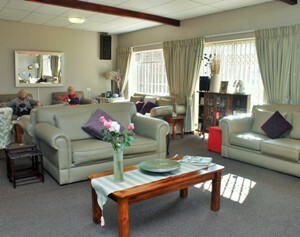 Rates include 24 hour nursing care, laundry, all meals and teas.